Great news! Penultimate for iPad is now available free of charge (formerly $0.99). 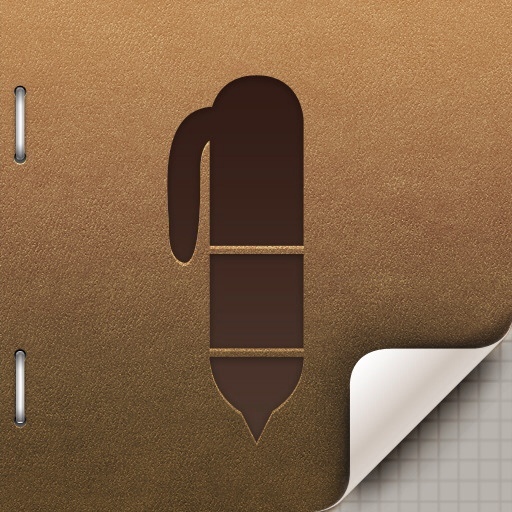 This is the ultimate handwriting and sketching app for iPad. 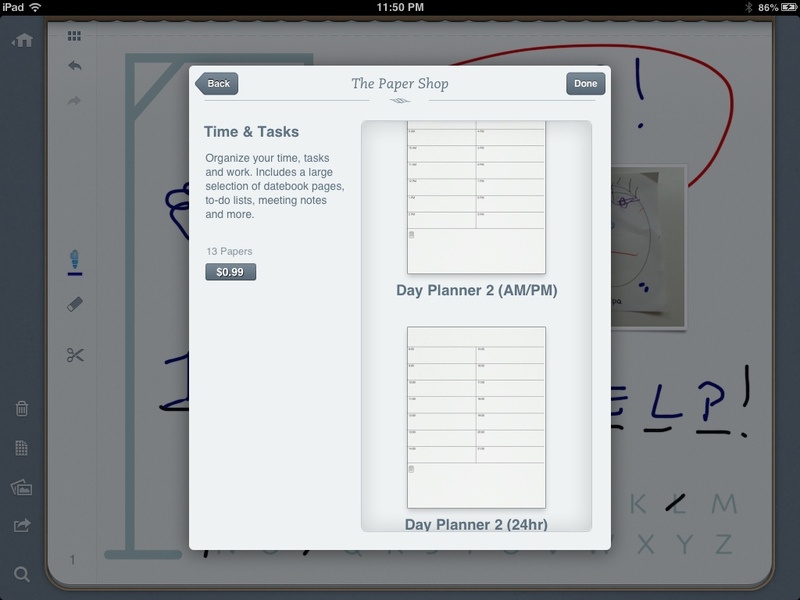 Like Skitch, Penultimate was purchased by Evernote in 2012, and has since included full Evernote integration through all devices. Not an Evernote fan or user? You have the option to not sync your notes and instead save locally, or into Camera Roll. That being said, the Evernote syncing is very impressive. To test it out this afternoon, I opened up the newly installed Penultimate on my iPad, the Evernote app on my iPhone, and the Evernote program on my work laptop. As I played with making different sketches, they synced seamlessly with one another. While it may not be automatic, there is a sync button (the two circular arrows) on the desktop version of Evernote, and a “Pull to Refresh” feature on the recently updated iOS Evernote app. Upon returning home, I installed it on my wife’s iPad mini, signed in, and voilà: My three notes that I had created this afternoon were there, ready to be edited. Sharing your notes is easy. As with most distinguished apps now, tap the share (arrow) button and you can instantly share to a various selection of options: Camera Roll, Email, Dropbox,GoodReader, and of course, you can print your notes if you so desire. As for a short wish-list, I would like more colours to its pens (There are 10). Like in Skitch, I would love to have the colour wheel from Microsoft Office. Also, there seems to be a general leaning towards working only in portrait mode. Notes seem to have a tough time going into landscape mode. This might pose a problem for those who prefer landscape. For those of us who have enjoyed handwriting and are not ready to let go of it, Penultimate is fantastic. The inks are extremely realistic and its strokes can be either broad or fine. Flipping pages within the notebooks is smooth. Erase whatever you’d like on the note, not just the most previous event. The Undo/Redo function works well as well, and are all specific to that particular page. 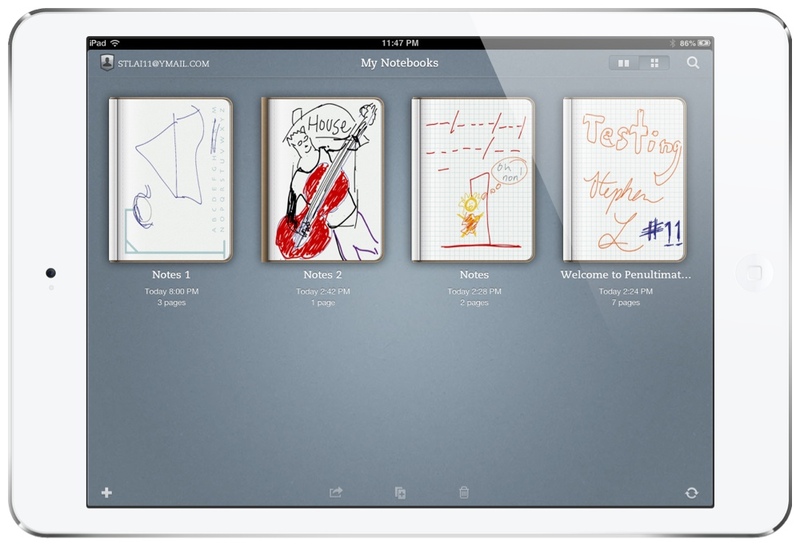 You also have the ability to import and include any photo from your Camera Roll into any note. For me, I will probably use Penultimate more for sketching as opposed to handwriting (I much prefer to type). There will be traditionalists who will love the features it gives. Handwriting with your index finger has never been easier. Of course, you can use a stylus if you prefer. This app is a must-have, especially now that it is free. 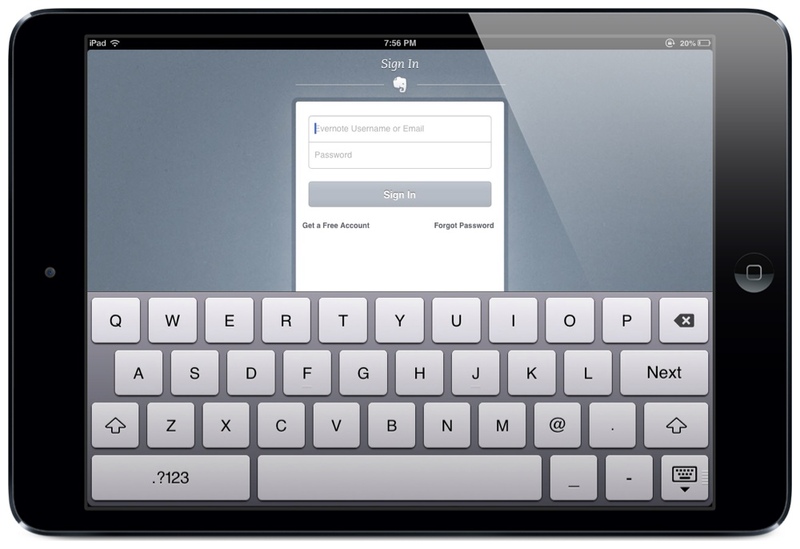 The syncing features, editable across all iPads that are logged in, and viewable on ALL your devices and computers makes it a valuable tool. As a teacher, I can project it and teach a quick lesson using the tools. 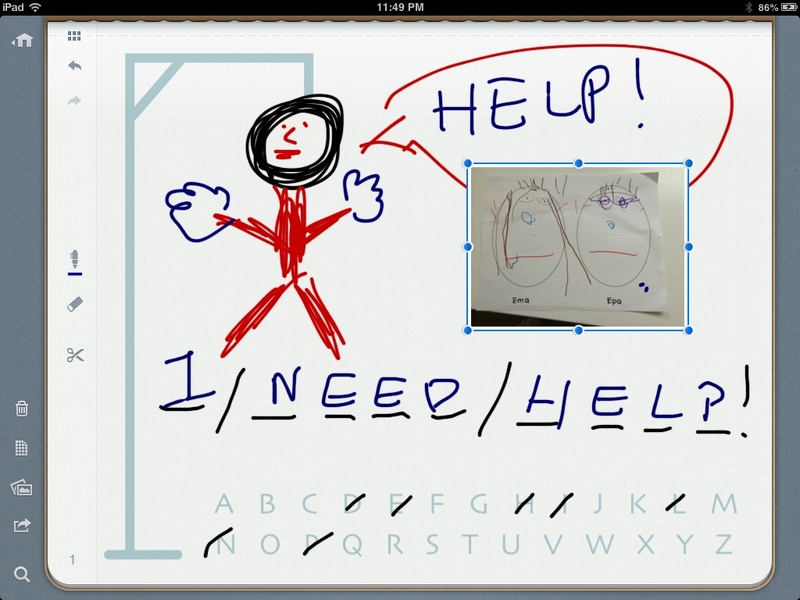 Pictionary and Hangman are fun games that I like to play with the class. As a student, I can take notes on lectures and compile and organize them into my own collections. Penultimate is fun to use and has a flat learning curve. I won’t go into much detail about how to use Penultimate. Although it is quite intuitive, please read this official guide to discover more features. Next Post Canadians: 20% off iTunes/App Store cards at Safeway from now until February 7!